New bra for indoor cycling - Clip-In Long Line Bra. Love, love, love! I wish they had a tank version of this. I love the mesh in the front. New tank for indoor cycling - Clip In Tank. I don't love it but I can how it would be breezily cool for spin class. According to the text you are supposed to tie it shut during class and untie it for cool down. Hmm, maybe I'll order one to check it out. 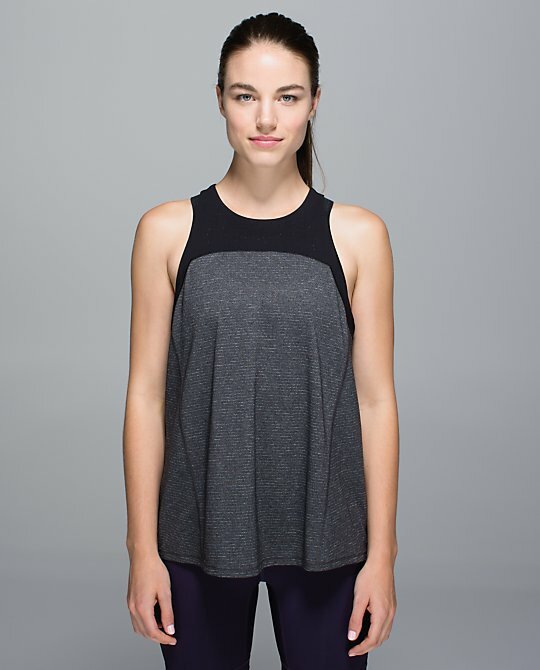 My favorite spin tank is the Right Round Tank from a couple of years ago. Size 12 ladies like to spin, too, you know. New Black Grape Clip In Crops and Shorts. I like these except they don't come in a 12. Heathered Berry Yum Yum Inspires and they come in a 12! I was tempted to order these but I already ordered a bunch of stuff and didn't want the husband to blow a gasket. Canada got a Heathered Black Grape 105F Singlet. New Forme Jackets in Black/Deep Coal Texture (Diamond Jacquard Space Dye?) and Coco Pique. I ordered the Coco Pique Forme. Reversible Wunder Under Pant in Bark Chocolate/Black. Diamond Jacquard Space Dye Black Deep Coal Wunder Under Pants. I ordered these, too. I read the Flaming Tomato crop version of these were soft and thick so hoping the same for the black ones. Not sure whether I'll keep these but wanted to give them a try. Heathered Black Turn Around Tights. I ordered these, too. I'm looking forward to their rulu cozy softness. 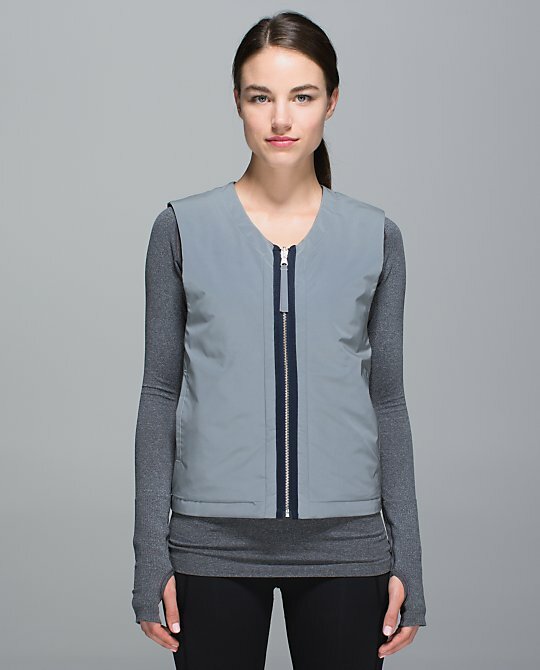 More &Go/Co-Lab type stuff - the Out of this World LS and Tee, Everyday Pant (like those), and Everything She Wants Vest. The UK got a Light and Bright Vest. The UK price is 158 pounds. I hate to think how much it'll be when it gets here. It's very functional but so charmless. I would think you could spent a lot less to find similar functionality. Hong Kong got Flaming Tomato and Heathered Slate Cool Racerbacks. Hong Kong also got this pretty Going Grape No Limit Tank. Update - Ok, I went back and ordered the Clip In Bra and Tank to try. I didn't want to wait to see whether my store would get them or not. Nothing for me tonight. That going grape no limits tank is gorgeous. I also have my eye on those coco pique gloves. I'm not sure I can justify $28 for a pair of gloves though. But they sure look cozy and wonderful. 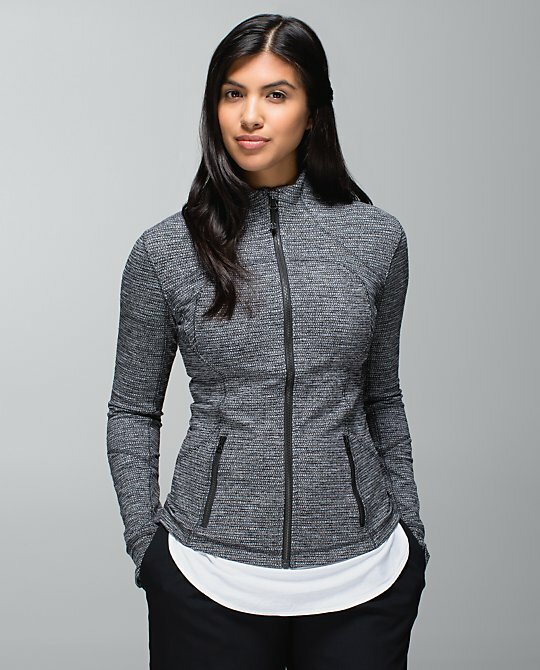 I'm actually a little grateful they switched from the define to the form because I would not have been able to resist the define jacket in coco pique. I picked up the diamond jacquard space dye WU. Also grabbed a Radiant Long Sleeve in purple fog. I love my black Radiant, so I wanted to get it in another color. 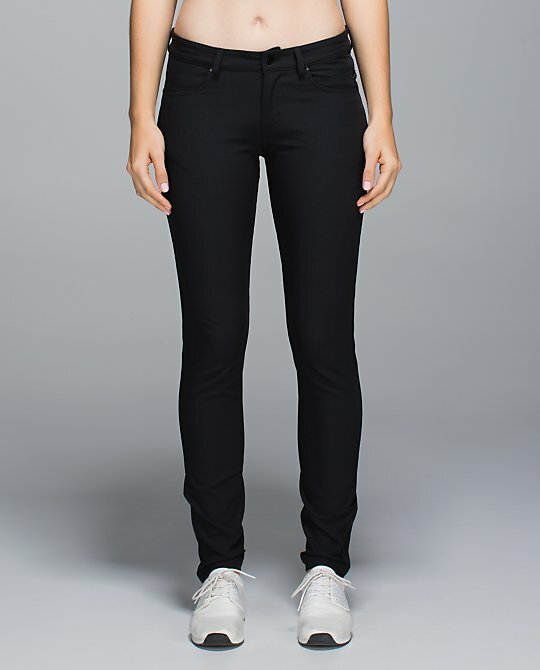 I was eyeing out the heathered black Turn Around pants as well, but holding off since I'm getting the WUs. If they are still around later on, I'll get them. Are the Diamond Jacquard Space Dye Black Deep coal wu's supposed to be like the coco pique material? I was excited about the Everyday pant until I saw that the zipper placket doesn't lie flat on the models - not a good sign. I ordered the diamond jacquard WUP. Got the WUP FullOn Luon Roll Over Waist Black Grape. I scanned so quickly I missed the clip in shorts and crops. Love the black grape in both. LLA do you think the 105 Singlet could possibly be Going Grape? Looks a lttle lite for black grape, altho it is heathered. I love it whatever it is. I agree the reflective vest could have a little more soemthing...shape for starters. That being said, I bought the fully reflective jacket that came out 2 years ago and was carried over last year. I walk the dog in it every night up in the hills where I live...narrow roads, very limited lighting. I have never felt safer in my life. Amazing piece. Hi, I wanted to buy the bra but when I added it to my cart it said final sale. Has anyone else had this problem? I ordered the Black/Deep Coal Forme jacket and Flaming Tomato Power Y. I still really want the Flaming Tomato WUC -- where are they, US? 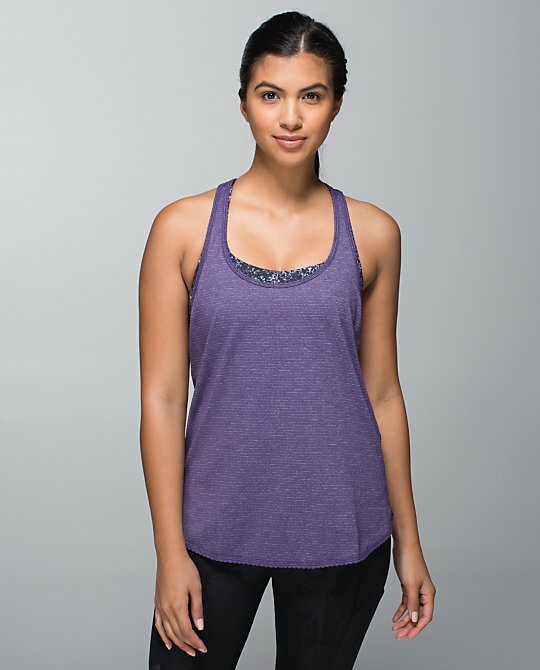 thinking about the grape refresh racer - i am one of those people who loves this tank. i have tons of CRBs and love those too, but i'm sort of being wooed by the refresh. the skinny straps are, well, refreshing! and i like how it's a little tighter. i always get 8 in CRB and they are always a little too big, but the 8 in these fits perfectly. the scoop bottom works, even though i am not usually into scoop bottoms. it feels more proper for when i want to wear it for everyday, whereas CRBs always feel almost too sporty for that. Can I just say I got a reflective jacket earlier this year, I believe around April-May that was on super markdown like from $300 to $150 and it looks EXACTLY like this. I really think they took all the jackets they couldn't sell, chopped the arms off, and called it a vest. Nothing for me. I like the heathered black turnaround tights but I have too much stuff and can control myself. The Light and Bright Vest is dismal. Everything She Wants Vest is bad. Evidently LLL makes "jeans" now as that's what the Everyday Pant is. Clip In Tank, I get the concept, but sorry, that looks like a maternity top. Only got Coco pique forme today. 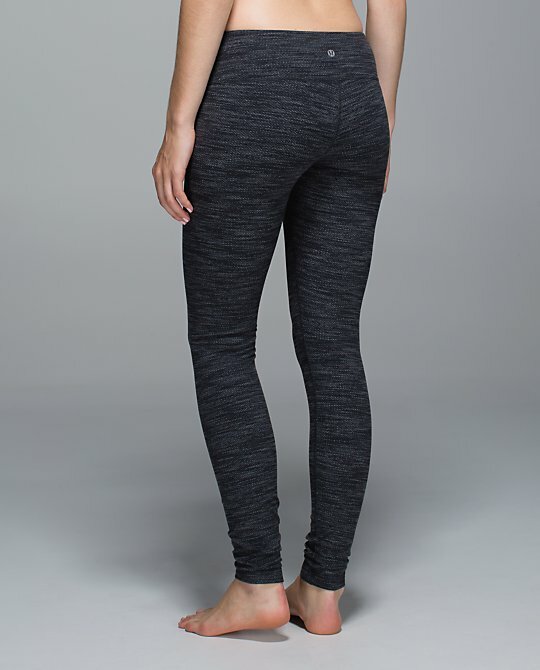 I have my eyes on the heathered black turn around tights but haven't pulled the trigger yet. Debating if I should keep the heathered herringbone black white turn around tights ..does anybody else think they look like PJs? I don't think they do but read some comments online said they do. @ Stephanie Zatyko - You could be right. Or maybe they had left over reflective material and made these vests out of them. I want that 105f singlet and NLT. 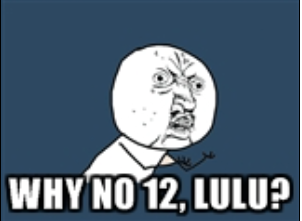 WHY YOU NO IN U.S.? I'll take a Going Grape or Black Swan CRB while I'm at it too. I was looking forward to the Black Swan DSPs, but wanted them unlined. In short, I didn't order anything, though the purple Journey and Inspire crops were a little tempting. I got the going grape NLT and the new plaid speeds in berry yum yum. I got the berry yum yum wheezy check speeds. Glad I picked one up...they sold out pretty fast! 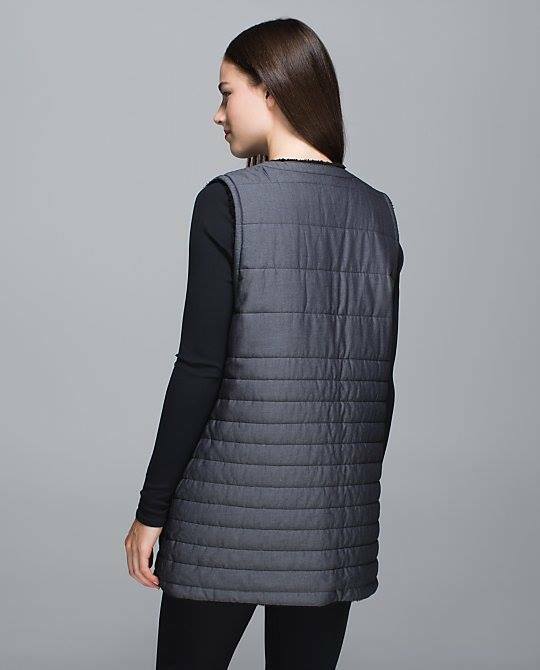 Light and Bright vest. Good eye re: they just chopped off the sleeves. 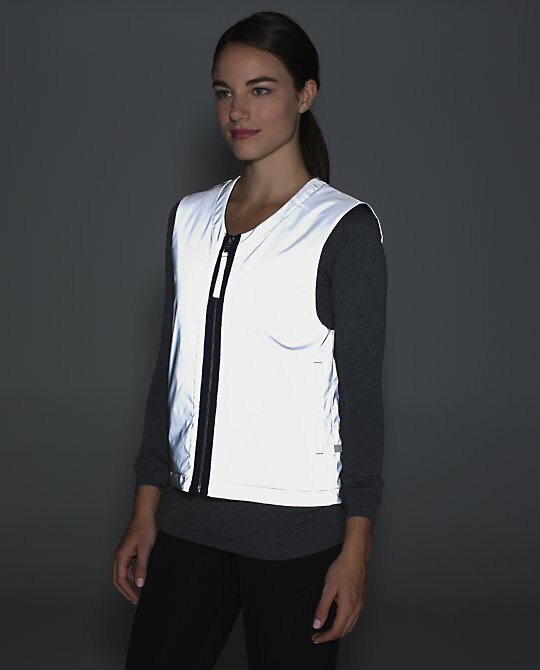 But if you look at pics of the prior run reflective jackets, they are slightly different. This is new manufacture and it is pretty bad. To me it looks like a vest someone in construction would wear. For that matter, the Everything She Wants vest looks like that too. I love the new Out of this world line but not for those prices - $108 for the long sleeve tee when the dress is only $20 more seems ridiculous to me. I can wait till it gets to WMTM. Is this coco pique forme the same that was out last year? I remember it was highly coveted last year and when I finally found one and tried it on I really loved the fabric but never bought it. Regretted it ever since! Anon @ 9:07 PM: I personally like my heathered herringbone black white turn around tights. At least the facts they are not extra expensive as a full length running tight, the herringbone material is very opaque although it's such a light color, plus we already have so many dark colors, black and greys, don't you think? Do they look like PJs? 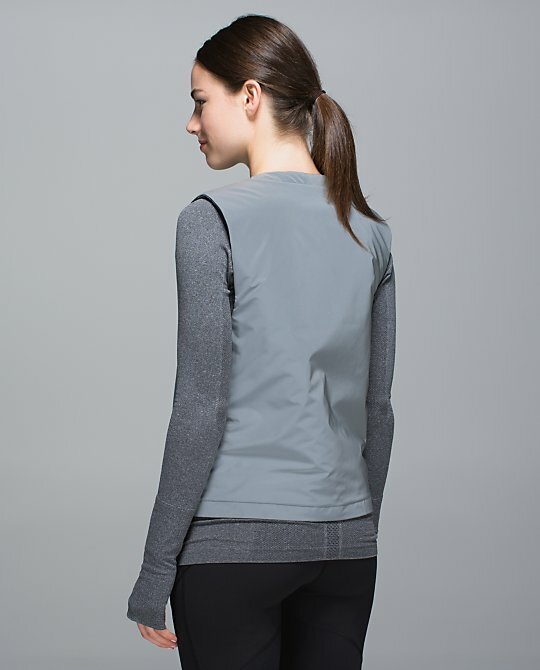 Depend on how you pair it, with an oversized cozy hoodie or a boyfriend shirt, yes it can look like that, but let's say if you put it on with a solid black form like running top, you can rock this tight, totally depend on if you want it look sporty or lazy IMO. Oh, one more thing, don't keep it if you have very very big thighs, the light color is going to make them worse, and that's probably why some people think it made them look like wearing PJs or long underwears, it should look good only with athletic bodies or legs. It's not for everybody. i didn't order anything. i want to check things out in the store because i'm just not sure. i like the Turn Around Tights, but they don't have real pockets, so i wouldn't wear them to run (i need a zippered pocket and prefer larger pockets on the legs like the Speed Tights). i'm still trying to decide between the Bahkti and the Forme. I have the Bahkti already. i like everything about the Forme except for the neck. and i am definitely not paying Lulu prices for those Everyday pants. 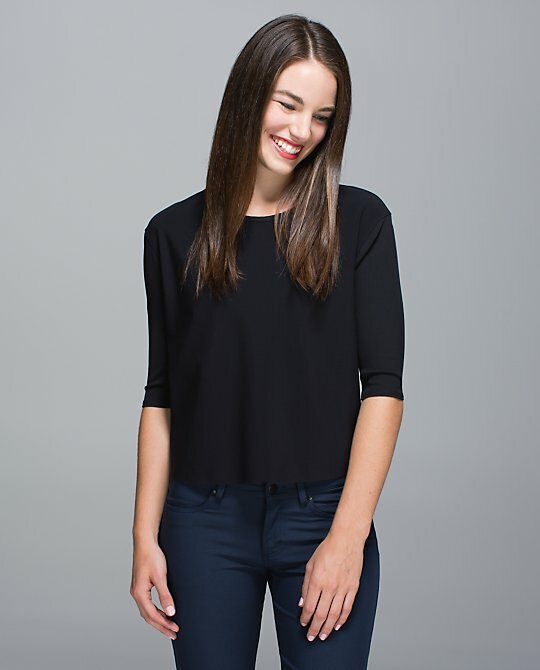 i could get multiple pair of something that looks similar at Gap. I too am trying to decide whether to get the black turn around tights and return my white herringbone ones. I do not think they look like PJs... I actually think they are super cute. My concern is that they will pill really badly. Isn't that why they typically make run pants out of luxtreme and recommend not running in WUPs? I mean, I run in WUPs anyways, but not any of my pique/herringbone ones. Can anyone advise on this? Does running in these "fuzzier" materials lead to horrific pilling? I know they made herringbone runder unders awhile back... do those pill? I got the wheezy speeds in berry yum yum. I really don't wear shorts when running and they seem quite short. How do most of you like the Run Speed short: 2 way stretch? I got the Textued black jacquard WUP, going grape 105f singlet, striped FTBW and the fuel green coco fly away tamer. So excited! Cute stuff. I ordered size up in the WUP because i ordered the light blue jaquard's from ivivva and could barely get them up in my regular size 12. Nothing for me this week. Like the everyday pants, but why don't they make them in a size 12? 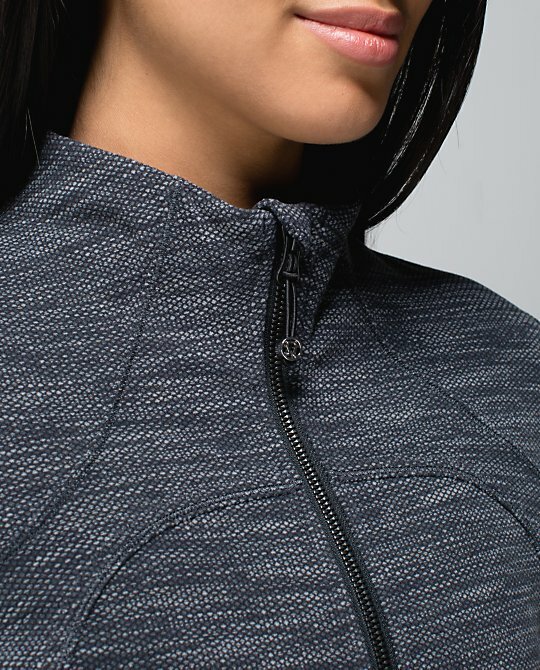 Had the diamond jacquard space dye WUPs in my cart, but opted against them b/c the fit of the textured WUs has been off for me this season (coco pique = terrible CT, other piques have been way too tight and sheer, and I don't want to order 2 pairs to compare sizes). I plan to try them on in the store soon in hopes the dreaded CT streak of 2014 ends. I ended up ordering the black En Route crops since I'm really in need of some new longer basic bottoms. I'm hoping they'll be thick and opaque like the recent reviews suggest. I tried the coco pique forme on in a local store with full intention of buying it, but couldn't pull the trigger. The seams puckered too much in the back on me, but going down a size wasn't an option if I wanted to be able to wear long sleeves underneath. I also wish the stitching was thicker or darker, or something - not sure how to explain it. I'm hoping they put out a herringbone version this year. Overall the upload was a little meh for me, which is good. I got the herringbone tights in-store yesterday and I've had them on all day. I'm trying to decide if I like them. (Is it because they really are pajama-y?!!) They're not as versatile as I was hoping they'd be. 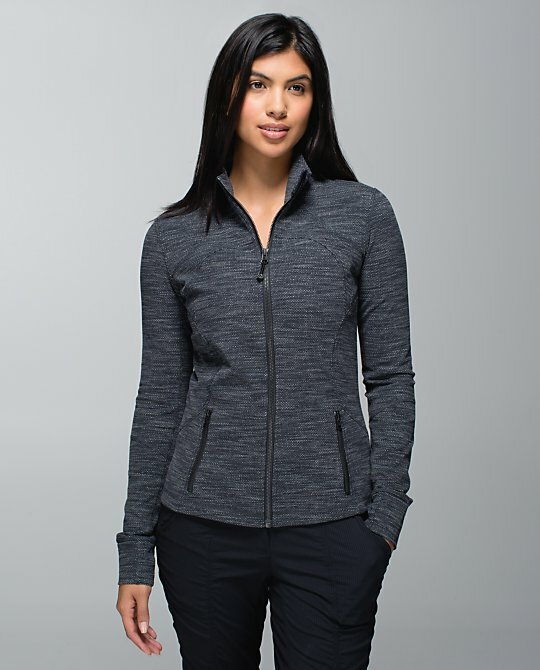 Maybe they'll grow on me, but I am slightly longing for athleta's return policy. Hi, I picked up the flaming tomato, space dye WUC crop, it's awesome, a bit heavy for the NZ summer but will be great for next winter. Really compressive and thick I picked up my usual size 10 and it's slightly tighter than usual but not enough to size up. Anyone bought the clip in crops ? Reviews? @ anon 7:10 pm - I am dying to see some of the new Clip In items being modeled on real people. None of it has arrived in stores yet from what I can tell. Thanks LuluAddict, cos I leave in another part of the world so don't dare to take a leap of faith by ordering something without reviews. Will keep my eyes peeled on your blog. I ordered the Rebel runner vest in petal camo, LS swiftly in going grape and En route crops in black. 7:55 the speed shorts are my favorite to run in. (I am Petite)I prefer the 4 way fabric because it does not chaffe.